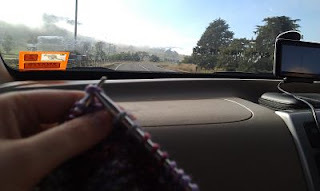 Do you craft in the car? I've just started too due to long 3-4 hour trips on the weekends recently. And that's a 3-4 hour drive one way. 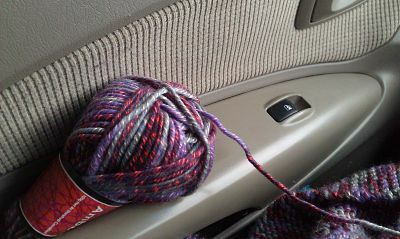 so I put my knitting in the car.. and voila ... time flew! 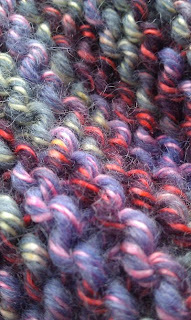 And I've found a great place to put the yarn! PS. What are you making? Yep - I car craft all the time... and there have been times that I do a bit at the red lights when I'm the driver! Now that's a little bit naughty. That's a great yarn - what is it?